Furniture At Wholesale Prices Eliminating Middlemen. Home furnishings companies are delivering home furnishings and floor covering products directly to customers. This business model excludes middlemen from the supply chain and allows home furnishings and floor covering companies to offer their products to customers at more affordable prices. Some of the companies also started working directly with manufacturers to deliver the furnishings directly to customers, thereby bringing down prices. 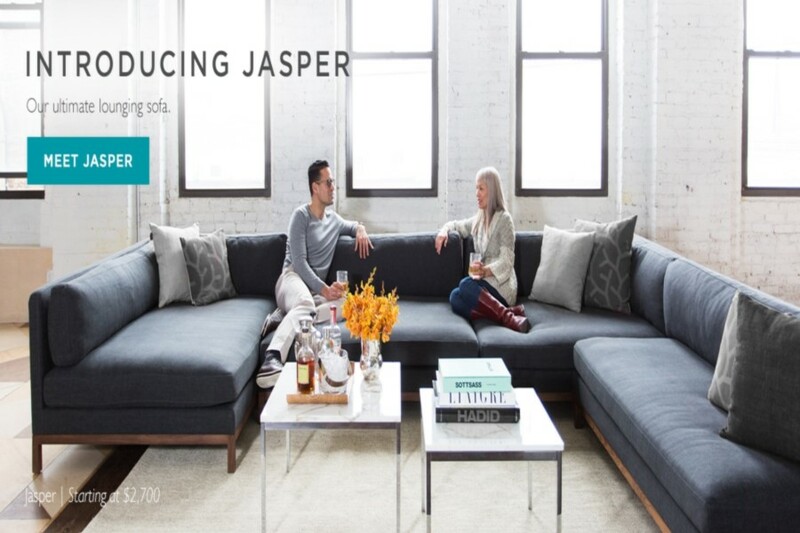 For instance, online furniture retailer Interior Define works directly with furniture manufacturers to offer designer furniture at no retailer markup. Similarly, furniture company Bryght has cut down its prices by 70% by cutting out the middlemen. HOME FURNISHINGS AND FLOOR COVERINGS MANUFACTURING MARKET TO GROW TO $217 BILLION BY 2020 ACCORDING TO THE BUSINESS RESEARCH COMPANY. 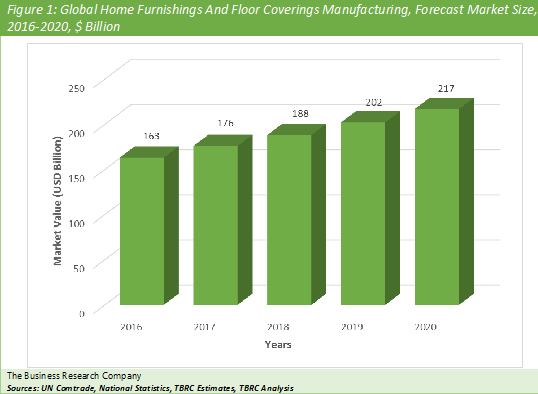 The Business Research Company expects the Home Furnishings and Floor Coverings Manufacturing market to grow to $217 billion in 2020. Asia was the largest region in the home furnishings and floor coverings manufacturing market in 2016, accounting for $92 billion or 56.8% market share. This can be attributed to a large population base and increasing disposable incomes in the region. According to The Business Research Company’s Manufacturing Consultant, Abdul Wasay, home furnishings and floor covering manufacturers are adopting digital printing technology to cut down on operational expenditures. This technology lowers sampling process time, water consumption and also increase product offerings. It is also considered to be eco-friendly alternative to traditional home furnishings and floor coverings. Some of the companies offering digital printing technologies include Epson, Bordeaux Digital PrintInk and Fratelli Robustelli S.r.l. Among big and small players in manufacturing market IKEA was the largest company with revenues of $36 billion during the financial year 2015. IKEA’s growth strategy aims at increasing revenues by attracting the young population and offering products at competitive prices. The company designs it products to be colorful and modular to cater to the demand from young population. The company also plans to expand in the US market by opening nearly a dozen stores over the next two years. The home furnishings and floor coverings manufacturing market comprises all firms engaged in the wholesale distribution of home furnishings and housewares, such as glassware and earthenware, curtains and draperies, linens and towels, antiques, lamps (including electric), carpets, and other forms of soft and hard surface floor covering. The chart below shows the year-on-year growth of the global Home Furnishings and Floor Coverings Manufacturing market during 2016 - 2020. The home furnishings and floor coverings manufacturing industry includes the following: Home Furnishings comprise companies engaged in production and wholesale distribution of home furnishings including bedspreads, blankets, curtains, draperies, glassware and kitchen tools and utensils. Floor Coverings include companies engaged in producing all forms of soft and hard surface floor coverings including rugs and sheets. Curtain and Linen Mills comprise establishments manufacturing curtains, linens, draperies and also other home textile furnishings. The products of this industry include: bed sets, bedspreads, fabric Curtains, draperies, window, Cushions, fabrics Pads and protectors, pillow cases, fabrics quilts, fabrics shower and bath curtains, tablecloths, towels and washcloths. Carpet And Rug Mills produce woven, tufted, needle punched carpets and rugs or finishing carpets and rugs. The products include floor mattings, art squares, needle punch carpets, door mats. Textile Bag And Canvas Mills manufacture textile bags such as shipping bags and other industrial bags or products from canvas or canvas substitutes such as tents and tarpaulins. The products of this industry include awnings and canopies produced from purchased fabrics, bags from purchased woven or knitted materials, duffel bags, canvas products from purchased canvas or canvas substitutes, shades, drop cloths, tarpaulins and tents from purchased fabrics. All Other Textile Product Mills comprise establishments are not classified to any other industry and engage in producing textile products and also engage in embroidering textile products or garneting textile waste or other textile recycling. The products of this industry include embroidering on textile products, decorative stitching on clothing, cord for reinforcing rubber tires, fuel cells and industrial belting, diapers, fabricated rope products, fishing line and natural or man-made fibers, flags, textile, ropes, processing of textile and wool waste, tire cord and fabric Home Furnishings And Floor Coverings Manufacturing Global Market Briefing is a detailed report giving a unique insight into this market. The report is priced at $1000 or an individual user. To use across your office the price is $1500 and $2000 if you wish to use across a multinational company. About The Business Research Company Visit TheBusinessResearchCompany.com, mail info@tbrc.info or call +447443439350 or +918897263534 or +919160996838 for more information on this and many other titles. The Business Research Company is a market research and intelligence company, which excels in company, market and consumer research. It has research professionals at its offices in the UK, India and the US as well a network of trained researchers globally. It has specialist consultants in a wide range of industries including manufacturing, healthcare, chemicals and technology. The Business Research Company's management has more than 20 years of varied business research experience. They have delivered hundreds of research projects to the senior management of some of the world's largest organizations.